With an office in Gilbert, San Tan Village Eye Care has been serving Arizona’s Southeast Phoenix area for more than 8 years. Welcome to our Gilbert location serving the Southeast Phoenix area. San Tan Village Eye Care is located inside LensCrafters. Located across from Dillards on the East facing side. Next to the children's play area. 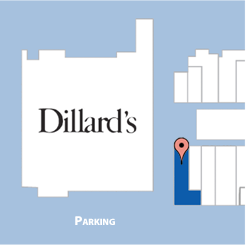 Nearest parking is located on the southern facing side of Dillards. Get on the 202 Loop. Take Exit 40 for Williams Field Rd. Head west on Williams Field Rd. Turn right at Market Street into San Tan Village Mall.